The main goal of the participation hours program is PARENT INVOLVEMENT! Side by side with other parents, we provide the building blocks for the INCARNATION FAMILY SPIRIT. Income from tuition alone is not sufficient for the school to survive financially. We also need help for the various duties and activities that are part of running the school. Therefore, each school family is required to contribute 40 hours of participation each year to the school or pay $25.00 per hour in lieu of this ($750 total). What is the family participation hours program? When you registered your child/children for the school year, you signed an agreement to either pay the additional $750.00 or perform 40 hours of service. 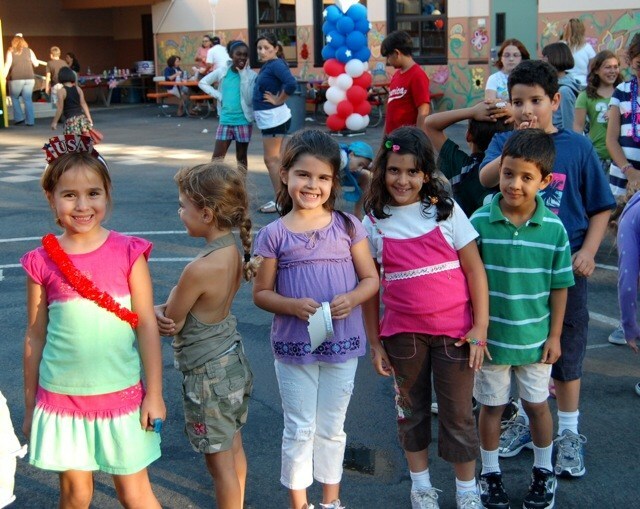 The Incarnation Participation Hours Program was designed to allow school families the opportunity to perform voluntary work at the school in lieu of this additional tuition amount. The following guidelines are provided to help parents understand the rules of the participation hours program. You may sign-up for any committee or working group that is in need of volunteers. Each committee requires specific hours and the number of hours vary per committee. It is important that you specify your availability in terms of days and hours. A telephone number where you can be reached should be indicated when you sign up. The Chairperson of each committee will contact you to give specific schedules. Putting your name down on any specific committee sign-up list does not guarantee your place in that committee. If you are not contacted, each family should make an effort to contact any committee chairperson should they have difficulty finding a working group. See attached list of approved committees. Hours must be completed beginning May 1st through April 30th to receive credit for that current school year. These dates have been chosen for accounting purposes. It allows the school an opportunity to communicate with the families who have not met the 40 hours requirement and collect the balance due, which must be paid prior to the beginning of the following school year. Any slips not submitted by May 1st for all services rendered until April 31st will no longer be accepted for credit. All hours performed after June 1st will be credited to your account for the following school year as long as there is a service hour slip signed by the chair to show these hours. Each family should have received a Family Participation Hours Program booklet. If you do not have one,you may obtain one from the school office. When performing participation hours, complete a slip, have it signed by the chairperson of that event and return it to the school office as soon as possible or via Home Messenger envelope. DO NOT hold on to your slips until you have completed all 40 hours and submit them all at once. You must submit them as soon as possible. Please make sure that the slips you submit have the description of work done. Do not combine different committees/services done in one slip. Please clearly print your family name (child/children's last name if different from yours), date of service, child/children's grade level, and signature of your chairperson. Retain the attached stubs of each slip for your records. We DO NOT donate hours to other school families, as this will defeat the purpose/goal of the program. Children may not earn hours towards this program. Any hours not completed by April 30th will be billed at $25.00 per hour. It is each parent's responsibility to submit his or her service hours slips. Records can only be as accurate as they are received. If you have your 40 hours by April 30th, but failed to submit your yellow slips timely, you will be billed $25.00 per hour. All families who have agreed to participate in this program are required to submit their yellow slips. THERE ARE NO EXCEPTIONS TO THE RULE. **Yellow slips must be signed by the chairperson. Classroom volunteers must obtain signatures from the classroom teacher.